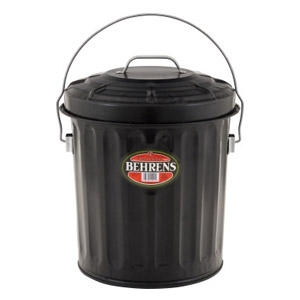 Behrens® 7.5 gallon Black Ash Pail has a locking bail to secure the lid and keep contents from spilling. 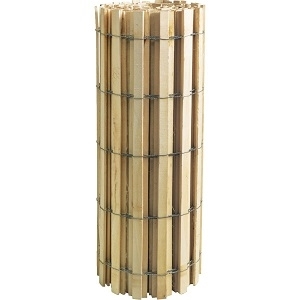 It is an ideal dry storage receptacle for fire place ash, charcoal, pet food, bird seed and trash. 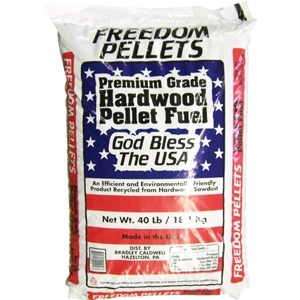 It is rodent proof and won't absorb odors. The can has a large handle for easy transport and a wire-reinforced rim. 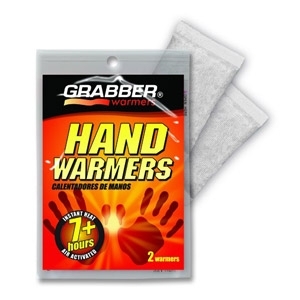 Grabber® Hand Warmers are rectangular shaped single-use air-activated heat packs that provide up to 7+ hours of continuous warmth for the hands. 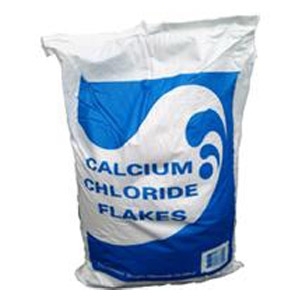 Tetra Calcium Chloride Flakes (CaCl2) is a white, flaked, dihydrate product with 77 percent by weight calcium chloride. Flake applications include: Chemical Industry: provides good source of soluble calcium Oilfield: can be used as fluid for drilling, cementing, and workover operations. Ready Mix Concrete: accelerates setting times. 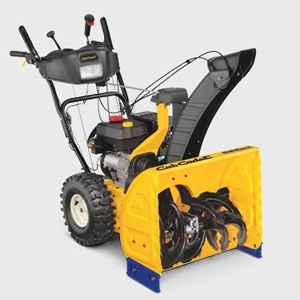 Snow and Ice Melting: facilitates de-icing on highways and pavement. Soil Conditioning: stabilizes roadbeds and facilitates salt remediation. Water Care: provides source of calcium for pools and non-potable applications. 50 lbs. 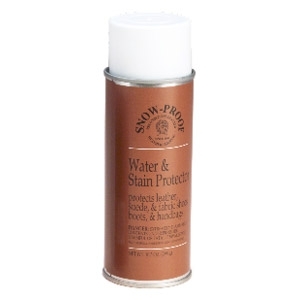 Protects shoes, boots, jackets and handbags from winter snow and summer rain. Silicone free, fluoropolymer formula protects leather, suede and nubuck from water, dirt and stains. 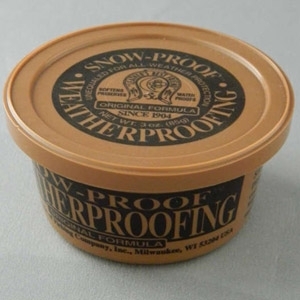 Since 1904, our best weatherproofing formula for smooth leathers. Softens, waterproofs, restores and preserves all smooth leather articles. Colorless, odorless and non-greasy. Perfect for saddles, boots and other leather articles subjected to rugged use. 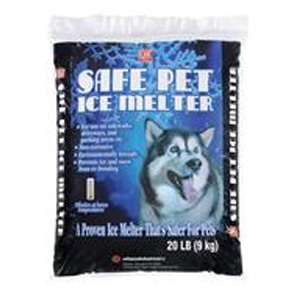 A proven ice melter that is safe for pets. 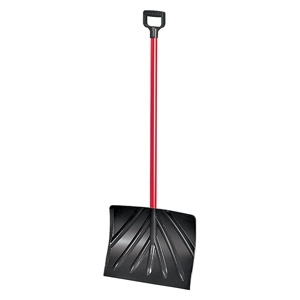 For use on sidewalks, driveways and parking areas. Noncorrosive. Environmentally friendly. Prevents ice and snow from rebonding. Does not contain salt of any kind. 20 lbs. Pet Friendly. 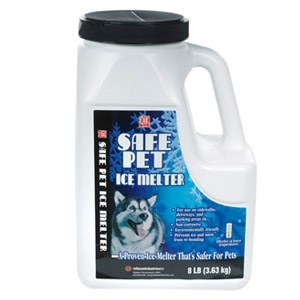 Pestell Paw Thaw is a safer, biodegradable ice melter that will not harm your pet when used as directed. Fast acting. 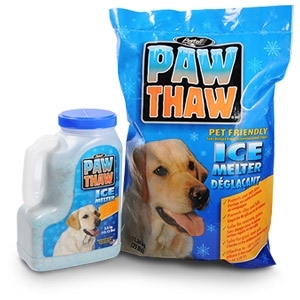 Paw Thaw combines the most effective deicing blend components available, creating the desired reaction to initiate deicing and meltdown. 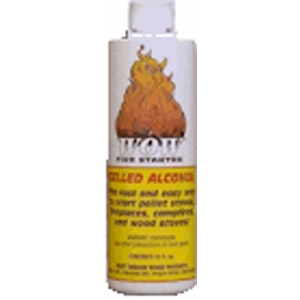 This gelled alcohol is the fast and easy way to light pellet stoves, fireplaces, campfires and wood stoves. 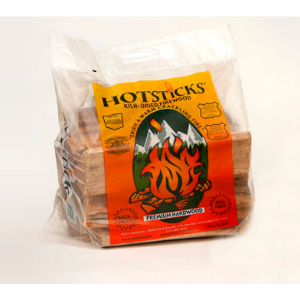 Formulated to light instantly and burn hot. 24" clearing width. 21" intake height. Posi-Steer™ zero-turn power steering. 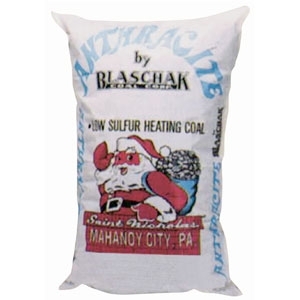 The product is a proprietary formulation of sodium chloride, calcium chloride and magnesium chloride. 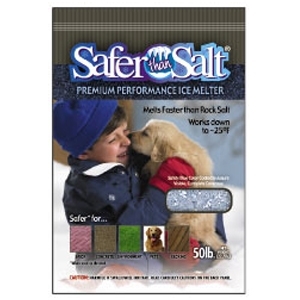 Tests have proven that Safer than Salt Premium Performance Ice Melter will melt more than twice as much snow and ice as most other products in the marketplace. It works faster and down to -25°F, a temperature at which many other products have stopped working. Sno Zone™ steel shaft handle, with angled poly D-grip. Designed for comfort and strength. Ribbed blade. 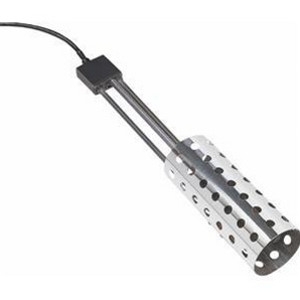 50" Overall length. 13-3/4"x18" blade. 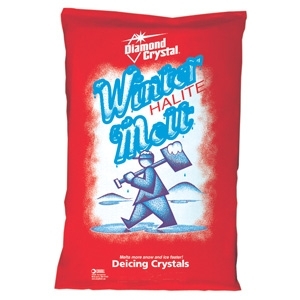 Unique sizing mixture of large and small crystals of natural sodium chloride - small crystals melt on contact and large crystals provide longevity and instant traction. Works best at temperatures of 5 degrees Fahrenheit and above. Leaves no oily residue.